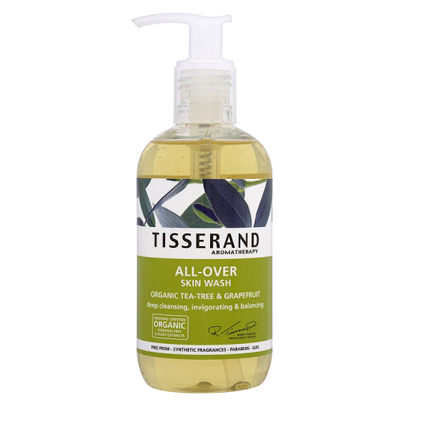 If ever a product was made for camping and holidays it was this one; purifying, deodorising, refreshing, cooling and thoroughly cleansing, Tisserand’s All-Over Skin Wash is perfect for washing away grubbiness and filth and can be used ‘all over’. As the name of it clearly suggests. If you, like me, can’t leave a swimming pool without wondering how many people have done a wee in there, then you’ll like the sanitary feel of this gel that can be used in your hair, on your face and all over the body. (Scrub those fears away. Shudder shudder.) It really deep-cleanses but it doesn’t dry out the skin, making it suitable for all skin types. It’s especially good for balancing out oils, so if you regularly get spots on your back then you might consider swapping to this for a few weeks to see if it sorts you out! A good all-in-one if you’re packing light, this could end up being your beauty saviour if you’re off to a festival and planning to use “the showers” but is equally brilliant to keep in the bathroom at home as a multi-purpose wash. It contains ethically harvested and organic essential oils and is free from synthetic fragrances and SLES so a little kinder on the skin (and the planet) than your standard all-in-one! Previous Post Keep Calm and Shop – going down a treat! Next Post Amazing Sample Packs at Escentual!